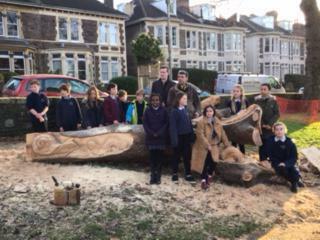 An enterprising local has taken advantage of a number of felled trees in St Andrews Park to create a stunning set of sculptures. 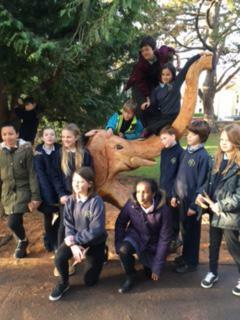 Paul Bullivant, of Friends of St Andrews Park, invited a number of year 6s from Sefton Park to contribute towards the design of the sculptures, making use of trees that had to be felled recently as a result of disease. Local artist and sculptor, Andy O'Neill, used the children's designs to produce the sculptures which can be found dotted around the park. The Year 6s went along to observe the artist at work and enjoyed interacting with the end result! See the feature in the January 2017 issue of the Bishopston Voice for more details.